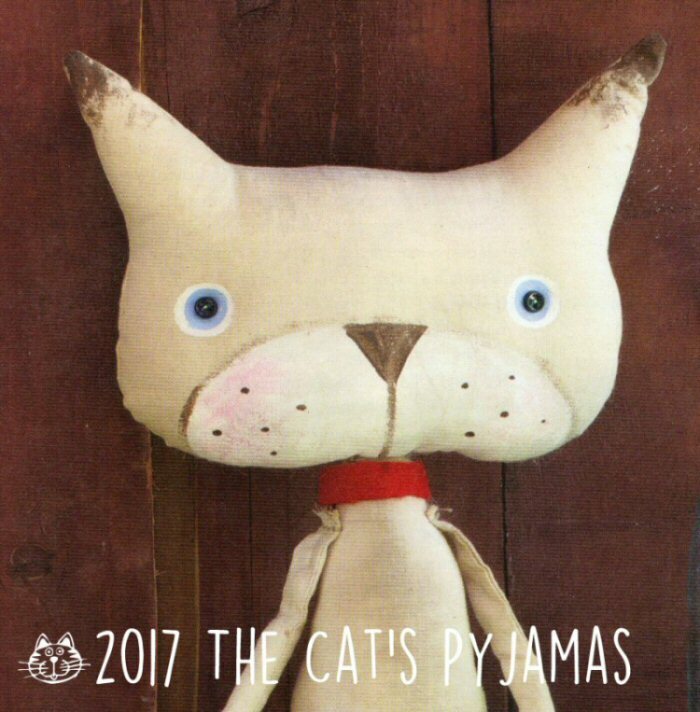 He's made of stained muslin with painted features, mismatched antique button eyes and a collar of a really old quilt. He measures 18" tall. Bandit is ready for halloween! He's made of stained & painted muslin with a dark brown fabric mask and orange fabric gathered around his neck. 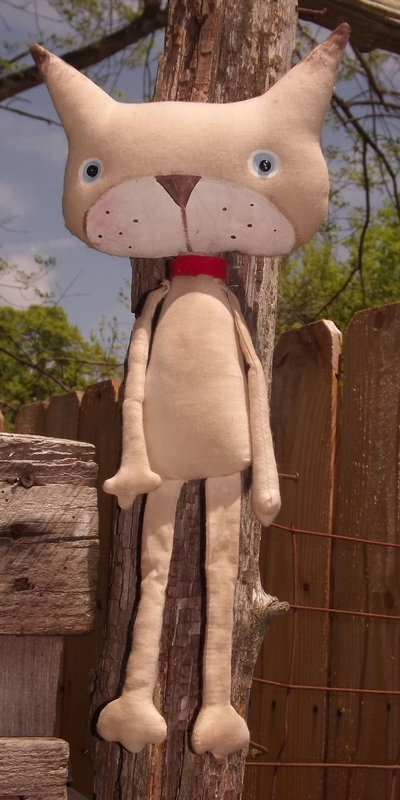 He's just over 14" tall, signed, dated & has a loop on back for hanging. 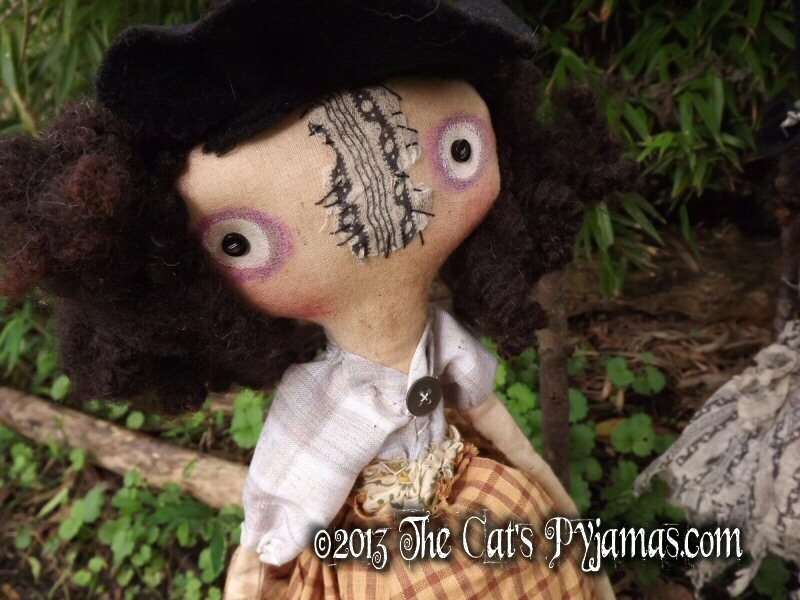 One of 7 primitive witches ready for her new home! 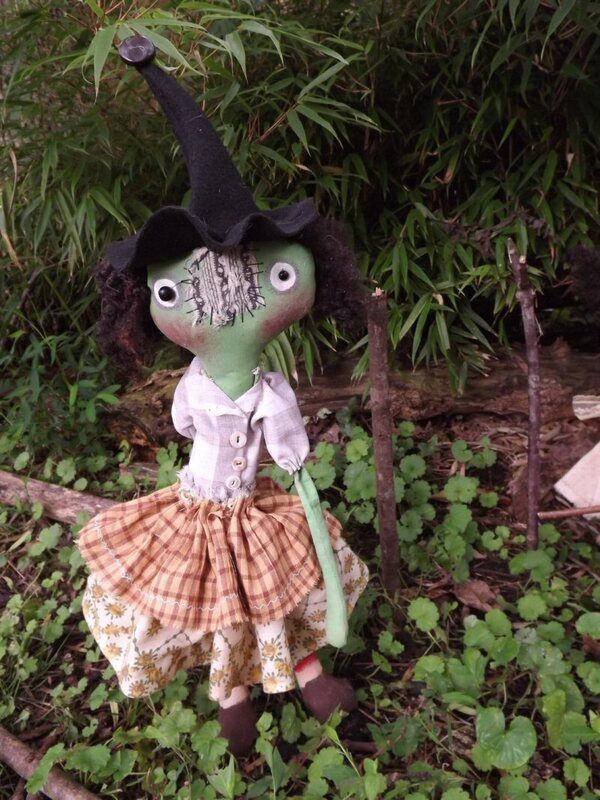 Each witch is made of stained muslin with primitive dresses, old buttons, quilt scraps, etc. 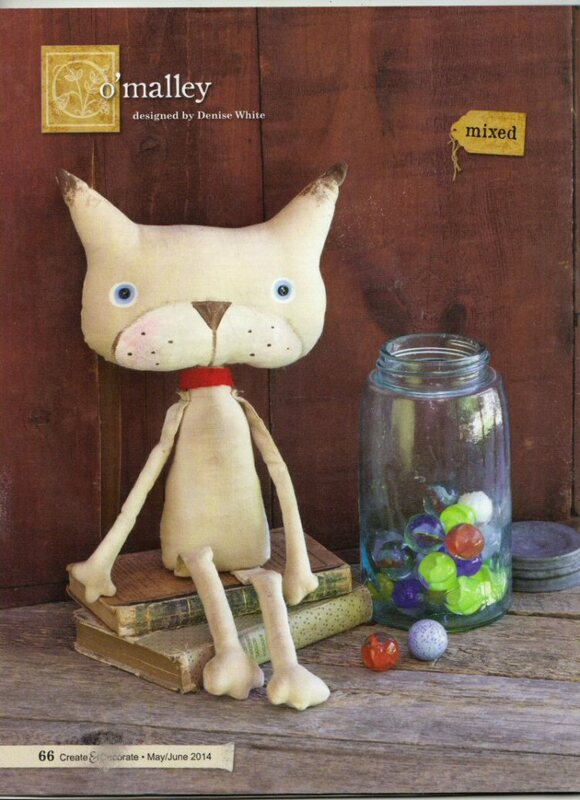 Their faces are painted and/or stitched & scrapped and their legs and feet are hand-painted. 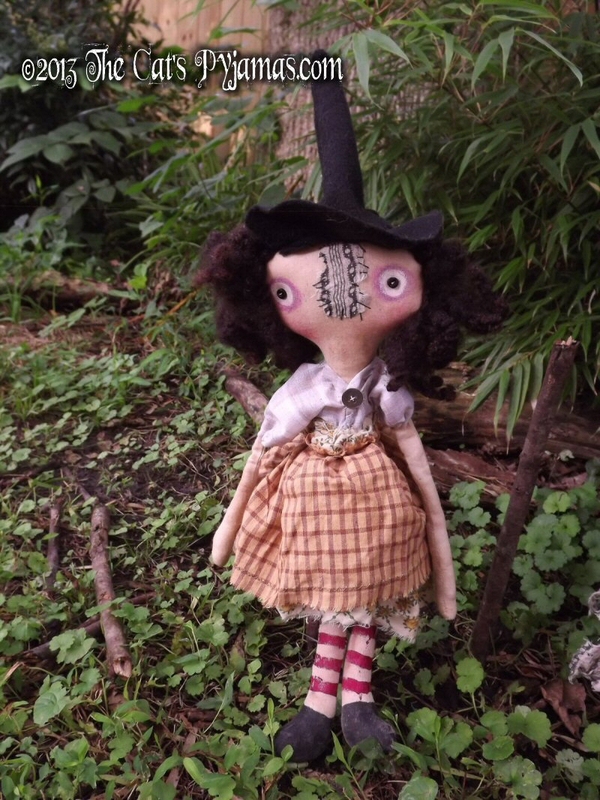 Each wears a felt witch hat, has wool hair and measures approximately 19" tall including her hat. Each has a hanger on back for hanging or she will sit nicely on a shelf. 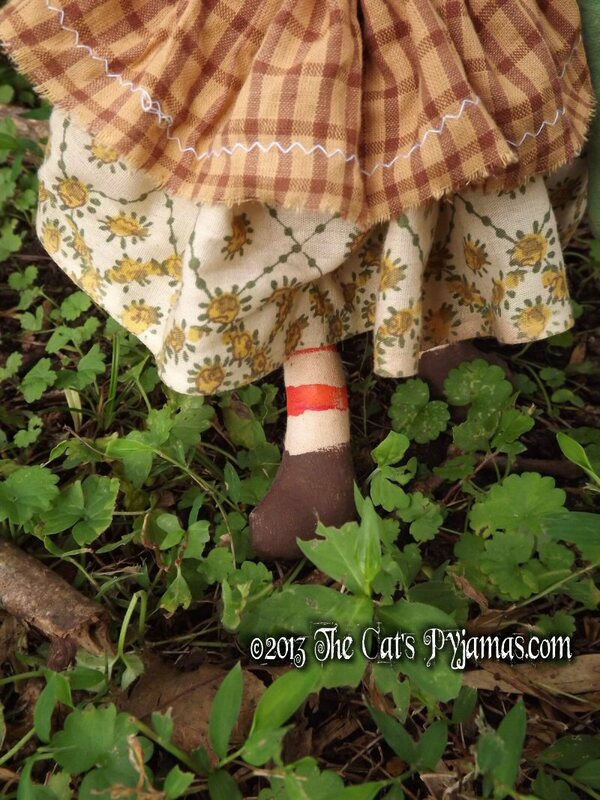 This doll is Wendy...her dress is made from 3different fabrics. One is gray & white plaid, one brown and gold checks and the other with mustard roses print. 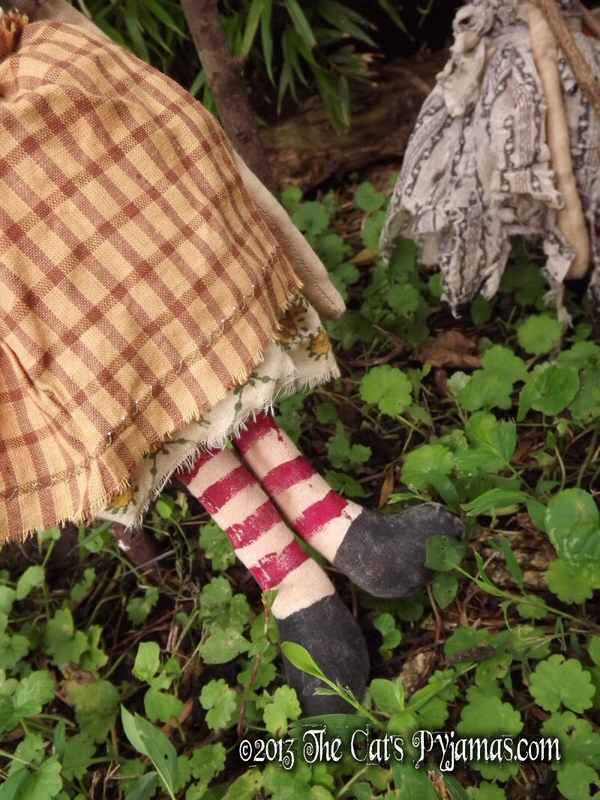 Her legs have hand-painted red stripes with black shes. Her nose is a scrap from a really old quilt that has been stitched on. Her eyes are hand-painted with tiny black buttons and her hair is naturally dark brown (almost black) wool. 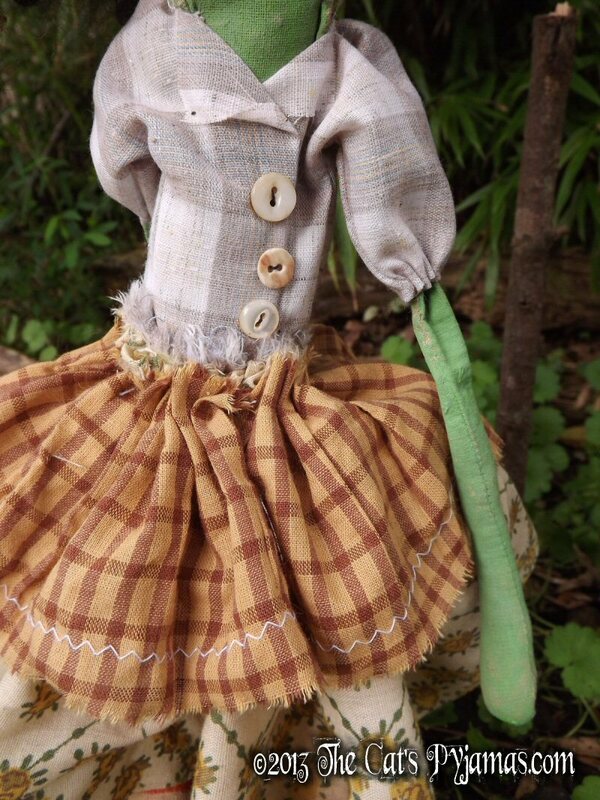 This doll is Griselda...her dress is made from 3different fabrics. One is gray & white plaid, one brown and gold checks and the other with mustard roses print. Her dress has a collar and 3 vintage mother of pearl buttons in a row on front of her dress and her hat has a big vintage button right on the end. She�has hand-painted orange stripes on her legs with brown shoes. 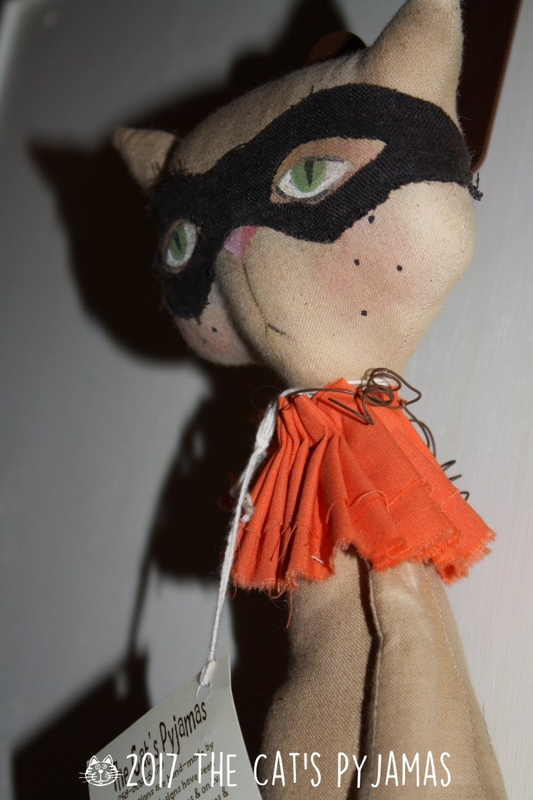 Her face and arms are a "witchy" green, her nose is a scrap from a really old quilt that has been stitched on.� Her eyes are hand-painted with mismatched black buttons (one is an old shoe button)�and her hair is naturally dark brown (almost black) wool.